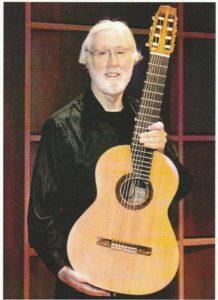 Bruce Casteel has been performing and teaching guitar since 1965. He has played for several bands and has performed for public figures such as Hilary Clinton and Bill Gates. Bruce first started playing with more than 6-strings in 1970, and now performs with an 8-string guitar here at Dandelion.